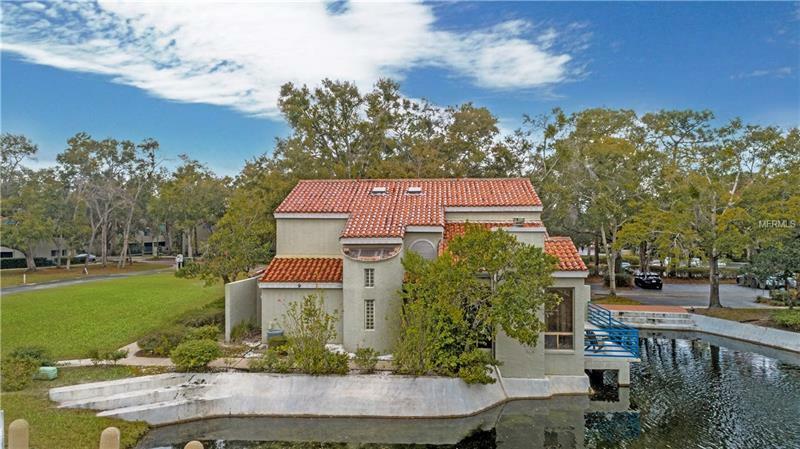 Back on the Market, Financing Fell Through - Welcome home to the beautiful, gated community of Sun Bay Club with access to Lake Destiny! This 3 Bedroom, 2.5 Bath Condo features an open floorplan with high ceilings and large windows allowing the sun to spill in! The Living Room is the heart of the home, with a cozy fireplace and two large windows, it's a great place to relax and unwind. It also has a sliding door that leads to the large balcony that is situated over the fountain pond. The kitchen has an open window to the Living Room, which also features a dry bar area, making it a great place to entertain! The Master Bedroom and Bath is downstairs, great for privacy or a guest suite! Upstairs you have a small loft area , ideal for a reading nook or office area and the other 2 Bedrooms and Bathroom. The Sun Bay Club community offers access to Lake Destiny as well as an open pool area and tennis courts. Minutes to the RDV center, major roads and Maitland center. Roof, exterior & grounds maintenance, gate maintenance, trash, basic cable, pool, lake access ramp and exterior insurance is included in HOA fees. Please verify HOA info with the management company.